a. Reach People - Reach out to people, serve and connect to the community with the love of Christ, and impact the community around us relationally and spiritually. b. Raise People - Raise people to become mature believers of Christ through discipleship, evangelism, training, and equipping while at the same time impacting our community relationally and spiritually. c. Release People to impact our community for Christ - Release people to the ministry of the gospel and establish River's Edge Church within the community as the heart of Christ. Through this process, we will continually seek the guidance of the Holy Spirit. Get plugged in! 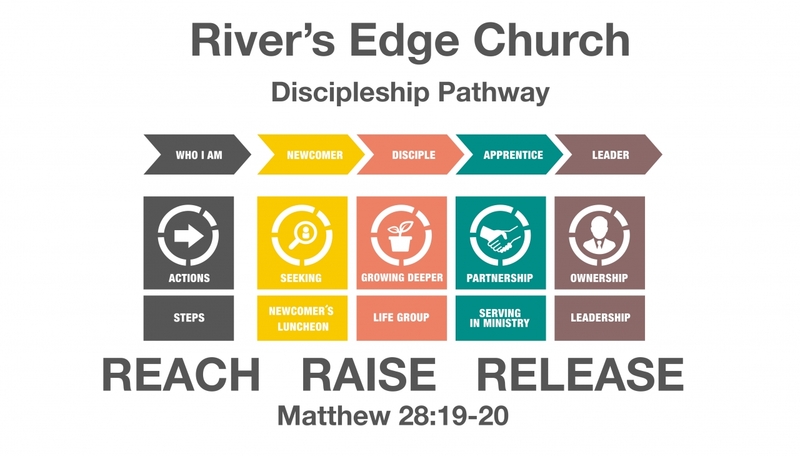 Check out River's Edge Discipleship Pathway and move forward at REC! Want to know more about our movement? Watch the Wesleyan Church "We Are Made New" and visit wesleyan.org and pswdistrict.com.